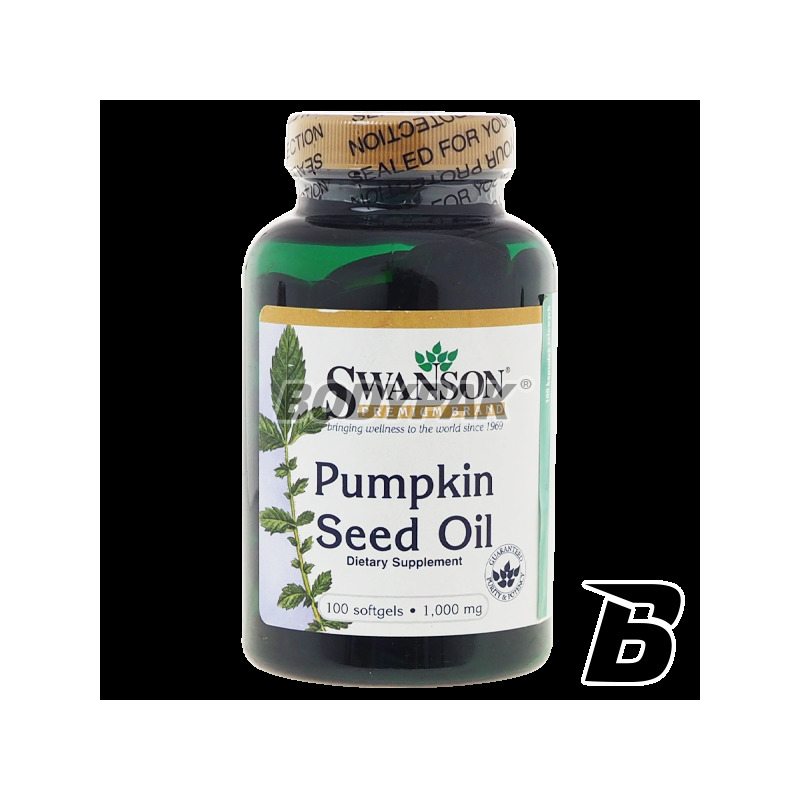 Health & BeautySwanson Pumpkin Seed Oil [Olej z Pestek Dyni] 1000mg - 100 kaps. 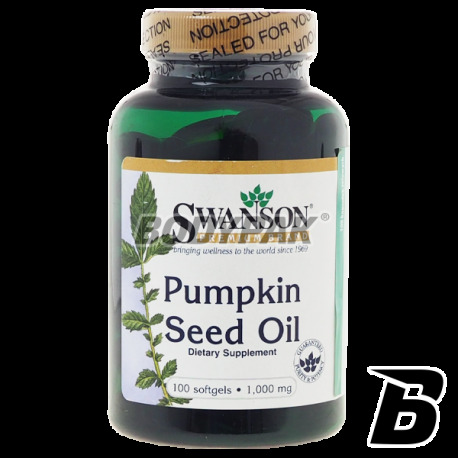 Swanson Pumpkin Seed Oil [Olej z Pestek Dyni] 1000mg - 100 kaps. Pumpkin seed oil - Highest quality oil to support the work of the urinary tract. 47 loyalty points Your cart will total 47 points that can be converted into a voucher of 1,88 PLN. Pumpkin seed oil - cold pressed roasted pumpkin seeds (Cucurbita Pepo) give a dark green-brown vegetable oil with a nutty smell and taste. Fats contained in pumpkin seeds are among the nutritious vegetable fats. About 80% of the fatty acids are unsaturated fatty acids, of which 50-60% are polyunsaturated. Unsaturated fatty acids are essential for the organism, are indispensable for the construction of the vitamin D hormone as well as cell walls. Fatty acids act as transport enzymatic reaction. One capsule 1-2 times a day. Składniki: olej z pestek dyni, otoczka kapsułki: żelatyna, substancja utrzymująca wilgoć: glicerol, woda oczyszczona. Herbal formulation in full, in which the composition includes three substances having a synergistic action. Strengthens the circulatory system by strengthening and flexibility of the blood and regulating blood pressure. Properties of the preparation can be used in the fight against cellulite.